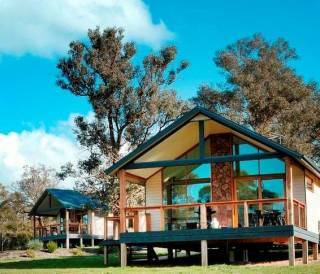 Accommodation in the Yarra Valley & Dandenong Ranges, VIC region. Book holiday houses and apartments for rent or browse towns for accommodation. 95 properties found in this region. The Yarra Valley is best known for its award wining wines and the world renowned Healesville Sanctuary which, is home to more than 200 species of Australian native animals. There are over 50 vineyards to visit including Domaine Chandon, Rochford’s Eyton and Coldstream Hills. Attend the annual Yarra Valley Grape Grazing Festival. Explore the nearby beautiful Mt. 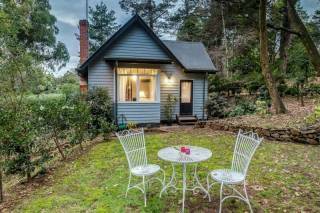 Dandenong Ranges or take a trip through the mountains on the famous Puffing Billy steam train. Shop for arts and crafts or souvenirs and Indigenous artifacts. Take to the sky in a hot air balloon or joy flight over the valley. After a full day of exploring this scenic countryside you will be ready to taste some delightful food at gourmet restaurants and cafes. Best of all the Yarra Valley is only an hour-drive from Melbourne. Explore the Yarra Valley today if fine food and wine is what you want for your next getaway. 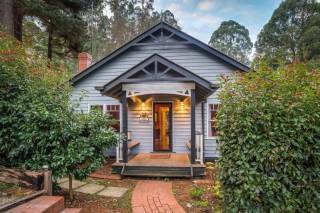 Dandenong is best known for the 'Dandenong Ranges' with secret fern glades, towering forests and storybook villages. Explore the beautiful villages and shop at galleries in Olinda, Belgrave and Sassafras, offering one-off designs in jewellery, furniture and glasswork. Climb Mount Dandenong for breathtaking panoramic views of Melbourne. Jump on board the Puffing Billy steam engine and dangle your feet out of the open-sided carriages, or just enjoy the first-class travel. Hike through National Rhododendron Gardens to the magical forests in the Dandenong Ranges National Park. Sample great food, hand picked berries and local produce in cosy cafes or airy restaurants. Visit William Ricketts Sanctuary which is a place of beauty and tranquility, set among rocks and mountain ash with mystical sculptures half hidden among ferns along the pathways. 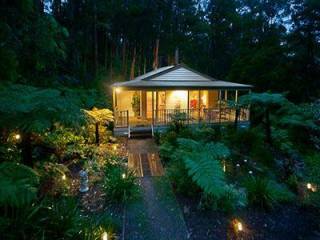 Escape the city and visit the Dandenong Ranges today which are less than an hours drive from Melbourne. Showing 1-109 out of 109 places found in this region. This 4 bedroom self-contained farm style barn is spacious and modern inside.With 2 Queen bedrooms and 2 Double bedrooms ,full kitchen and 2 bathrooms plus a huge living and dining area there is ample room for up to 10 guests. 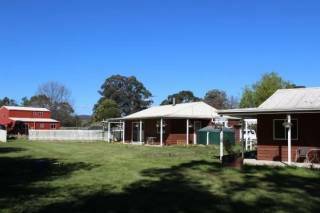 Valley Farm has three self contained farm stay style apartments. 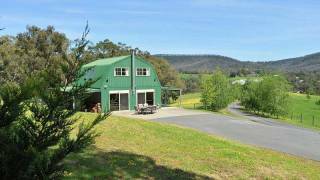 Stunning views, wine, farm animals and wildlife, all a stone's throw from Healesville township.... an ADULT ONLY retreat, perfect for couples and friends! Welcome to Brentwood Accommodation Healesville, offering three fabulous, unique properties perfect for your next escape or getaway to Victoria's world famous Yarra Valley. 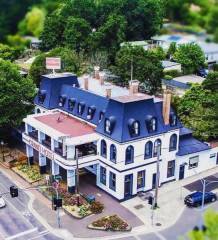 Healesville’s Grand Hotel in located in the Heart of the township of Healesville in the beautiful Yarra Valley. Nestled in the heart of the Yarra Valley, our B&B cottages are perfectly located for the weekend break or a leisurely mid-week holiday. 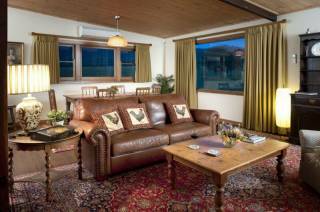 Step into your romantic hideaway and experience the ultimate in luxury and seclusion! Enjoy breathtaking views of an enchanting waterfall and towering gums from the sensual spa.Your Special Place! 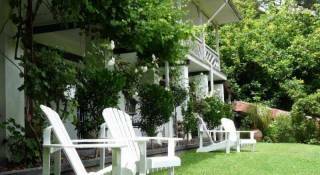 Annabelle of Healesville Bed and Breakfast is a beautiful Federation Home, built as a bed and breakfast combining all the charm, style and character of yesteryear with high quality fittings and conveniences. The Yarra Suite features a pewter/light grey colour scheme with a Japanese-style courtyard garden. 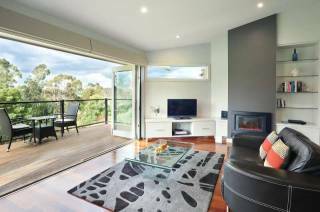 Contemporary, comfortable accommodation for couples seeking a relaxing break away from it all in the heart of the Yarra Valley. 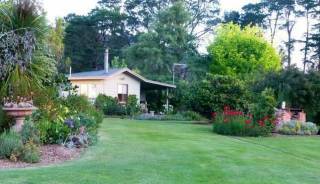 Enchanting cottage nestled on a ten acre horse property with lovely vistas to surrounding paddocks, wood heater for cosy winter nights, five minute walk to the renowned Healesville Sanctuary and a short drive to wineries, shops and restaurants. 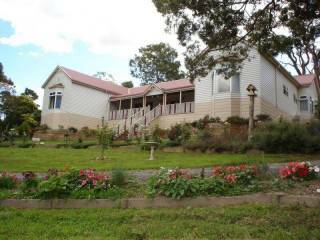 Quality self contained Yarra Valley Cottages suitable for weekend getaways or family holiday accommodation. 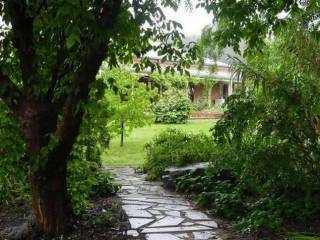 Yering Gorge Cottages are located in the middle of the Yarra Valley Wine Country and with 12 kms of bush walks, you will love the environment. 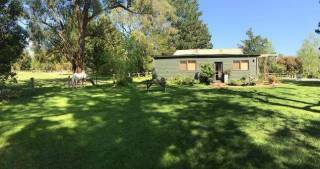 Bed and Breakfast Accommodation and Alpaca Farm. 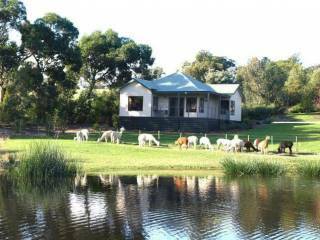 View Alpacas grazing in a natural setting from the verandah. 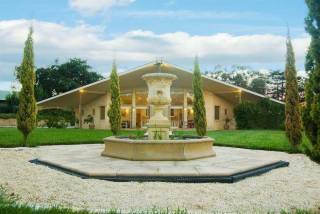 Located in a picturesque rural setting at the gateway to the beautiful Yarra Valley. Displaying 1-20 of 95 results.